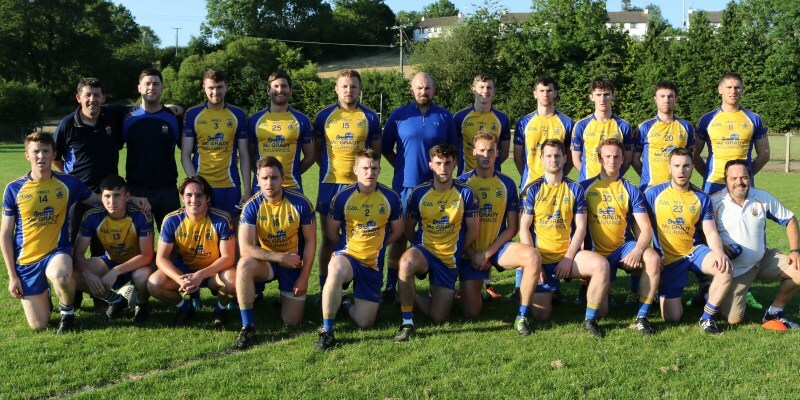 It has been a fine week for our Senior men, with two League wins moving them to third place in the table, just a point behind Gort na Mona and Aldergrove. Wednesday saw goals from Ronan McGrady and Jack Dowling as well as superb performances from Finnegans Rory and Paddy. Sarsfields pushed us close at the Bear Pit but the lads dug deep and prevailed on a score of 2-09 to 2-05. Just two days later, McGrady put on a masterclass in shooting away to Moneyglass as we won out by 1-12 to 0-11 in a place that is never easy to go to. Deserved mention to Andy Brennan, Tomas Corey, Dowling, Cathal Conway and Paddy Finnegan again. Find a detailed report from the Saffron Gael here.